Earlier today, we reported that the trailer of Jiiva - Thulasi Nair starrer Yaan, directed by Ravi K Chandran, has been appreciated by Bollywood biggies Amitabh Bachchan and Ranbir Kapoor. In yet another good news for the team, the movie has been given a clean chit by the censors. The censor review happened in Four Frames, Chennai. With such positive vibes surrounding Yaan, the team will be looking to gather a huge opening when the movie releases on the 2nd of October. Reportedly, the team is planning to release the movie in 400 screens. Yaan Has Made The Superstar Talk ! 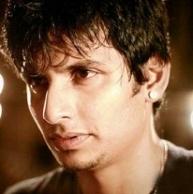 People looking for online information on Jiiva, Ravi K Chandran, Thulasi Nair, Yaan will find this news story useful.